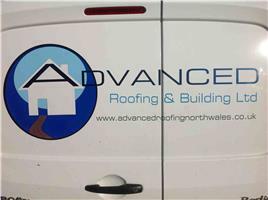 Advanced Roofing & Building - Builder, Roofer based in Llangefni, Sir Ynys Mon. I have been involved in the roofing and building trade for over 20 years - having done my apprenticeship with my father and grandfather then going on to run my own business for over 15 years. I pride myself on having a high standard of work and I’m honest and reliable. Myself and all my employees are fully qualified and insured and are very respectful of customers’ properties. Pretty much all building maintenance and home improvements.